Background: Hadfield worked for social gaming tech company Yazino and women’s social network Lulu. Lorenz is the founder of London “social haunt” The Cuckoo Club. 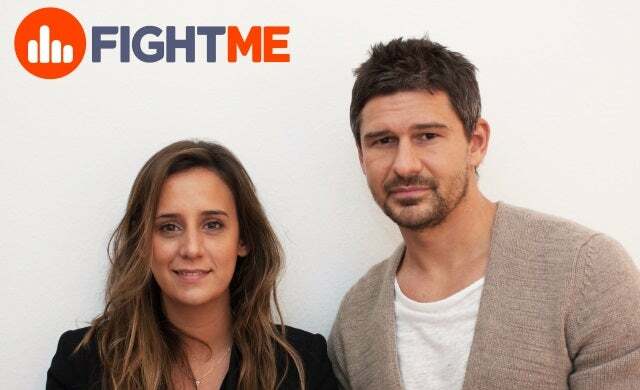 FightMe is a collaborative social video network that invites you to join in challenges and create your own. You have 30 seconds to make a video about whatever you want to share with the world. Voice views, show talents, be creative. Join the Fight. FightMe brings purpose to video – by joining in on something rather than just creating standalone videos. We both loved the concept of turning a negative into a positive, and wanted to do the same with the word ‘fight’. There are plenty of times when ‘to fight for something’ is a positive, and it’s usually when aggression is taken out of the equation. Inviting users to ‘Join the Fight’ is inviting them to participate in a forum where they are challenged to be better through the support, encouragement and belief of a community. With this at the forefront, we decided to work together. FightMe’s vision is to use digital platforms to inspire, encourage and develop young urban creative talent our vision is to be the first collaborative social video network. We differentiate ourselves from others by providing a space for raw talent and opinion. For us, that’s the best indicator that we’re building something valuable. Yes we raised $500,000 in October last year and have just closed an additional $1.35m from HTG Ventures, Daniel and Raphael Khalili; investors in Yahoo-acquired Summly, and David Reuben Junior of Reuben Brothers. Hadfield, FightMe CEO: I spent several years in international fashion PR but moved in to technology with social gaming’s Yazino and the social network for women, Lulu. I started a business at the age of 15, and learned early on to trust in my team. Founding FightMe with my childhood friend Jamie Lorenz began and continues with our belief in the importance of creating a platform for creativity and a community where the creative and expressive minds go to showcase their talents. Lorenz, FightMe chairman and founder: Following in my father’s footsteps, I founded London’s high-end social haunt, The Cuckoo Club. I’ve been practicing sleight of hand since childhood and was a high-stakes poker fiend, and helped finance the PKR 3D poker service. With passions for magic, gymnastics, guitar, and social world matters, I founded FightMe to give structured expression to talented young people for whom posting a YouTube video is too much about self promotion and not enough joining in. Fighting doesn’t have to be aggressive. Friendly competition creates collaborations and community. Being based in London gives you the ability to hire some of the best talent from Europe. We are also lucky to be in a shared office space in Clerkenwell called Headspace that also houses great start-ups such as Buzzfeed and General Assembly. It’s helped in many ways, from hiring through to advice from other start-up founders.